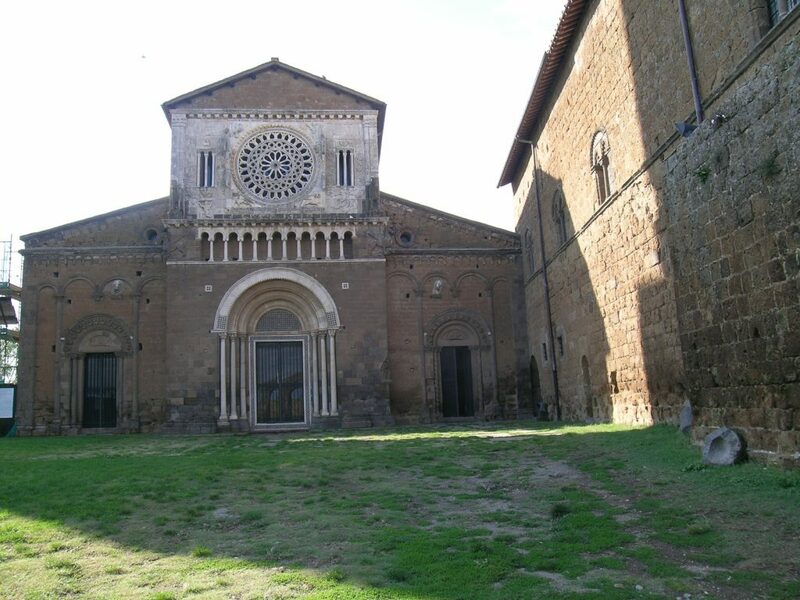 It is quite a splendid sight when you view the church of San Pietro in Tuscania for the very first time. It is in such a prominent position that it can be seen from quite a distance away. The photo that I have included above was taken from the park within the historic centre looking across to San Pietro on the right hand side and the ruins of the Rivellino castle on the left. 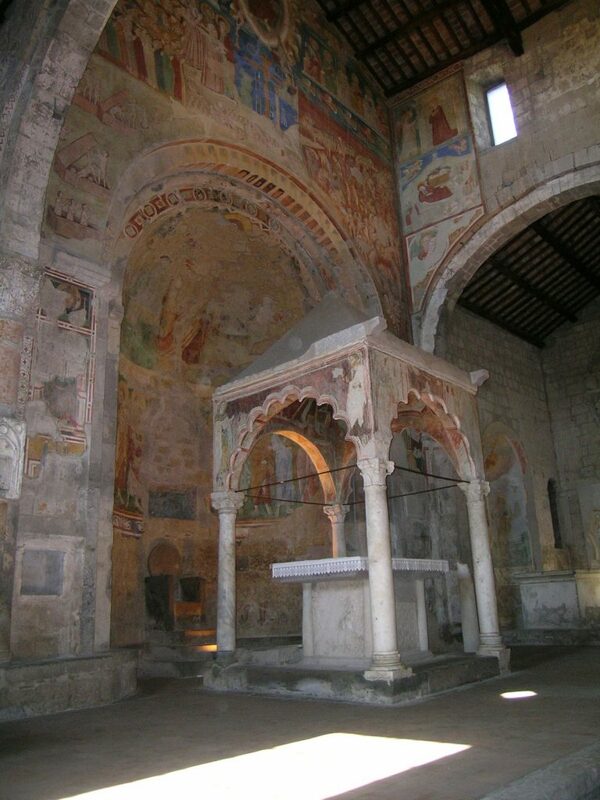 After you have climbed the hill and walked around the corner past the towers, there is the entrance to the church. 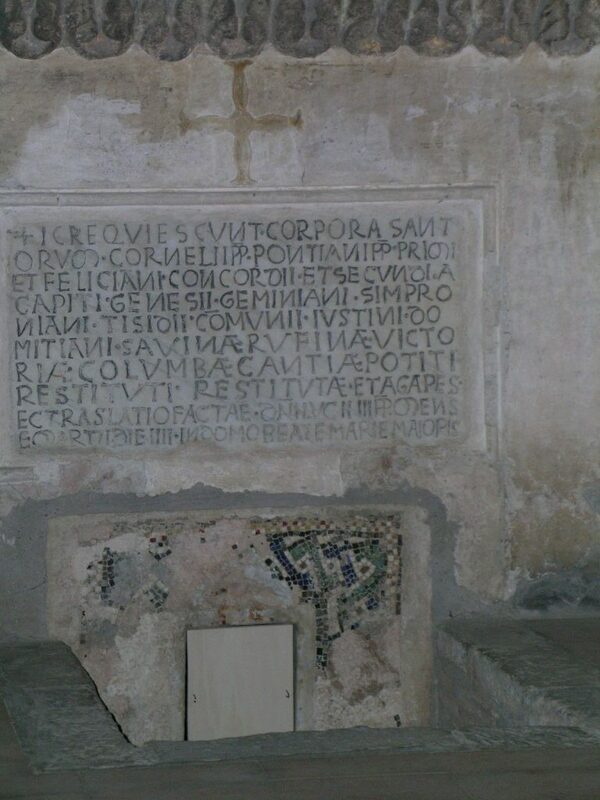 Below you will see a few interior shots of the church. 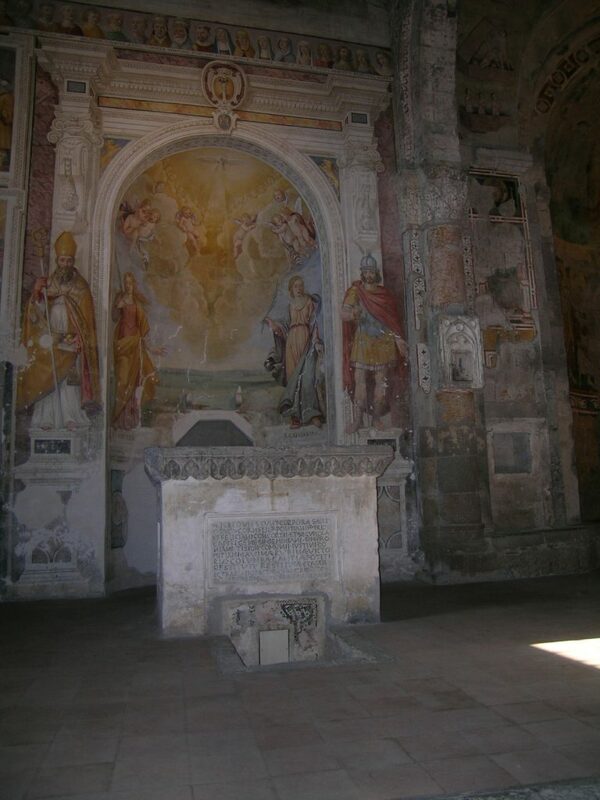 Some of the scenes from Zeffirelli’s 1968 Romeo and Juliet were filmed in this church. 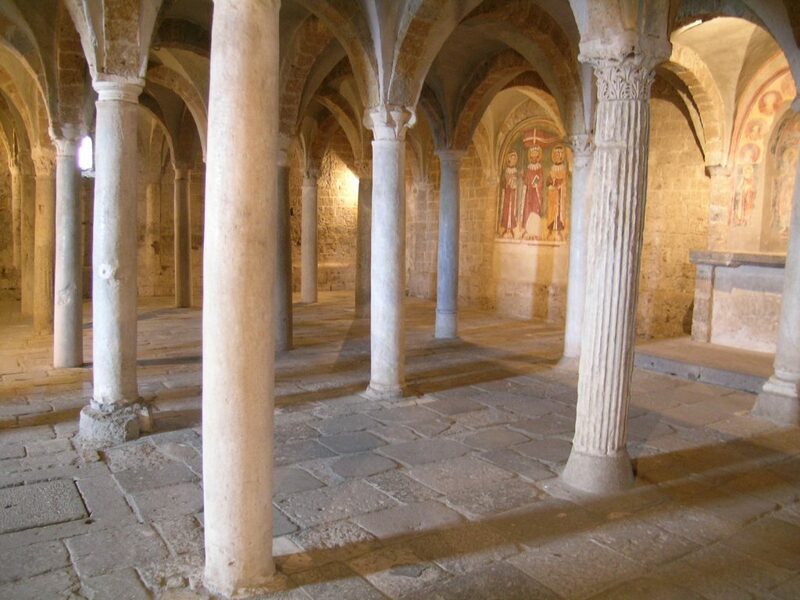 This included the death of Romeo and Juliet which was filmed on the lower floor of the church where these stunning columns are. It is a very beautiful place. I feel fortunate that I was based in northern Lazio for a total of 7.5 years. 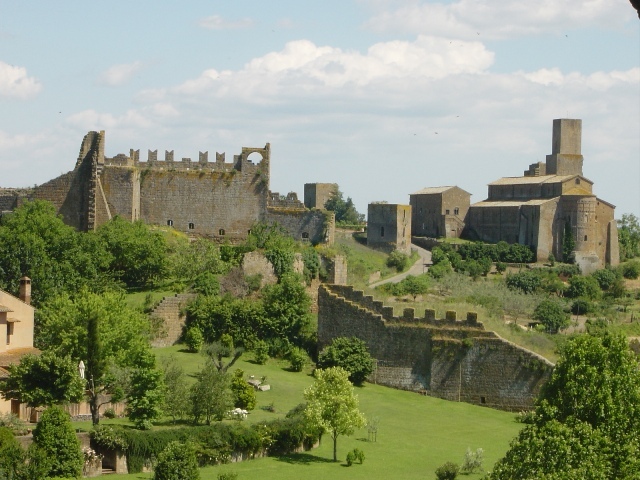 Tuscania was the first place my husband and I lived when we were first married. It is a town that has quite a few beautiful churches. San Pietro is just one of them. 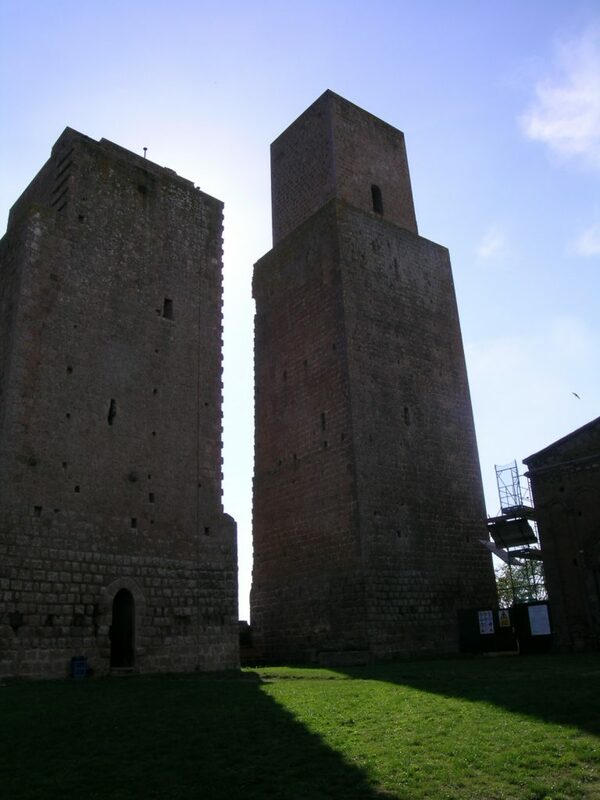 This entry was posted in Italy, Travel and tagged Lazio, Tuscania by Cathy Powell. Bookmark the permalink.